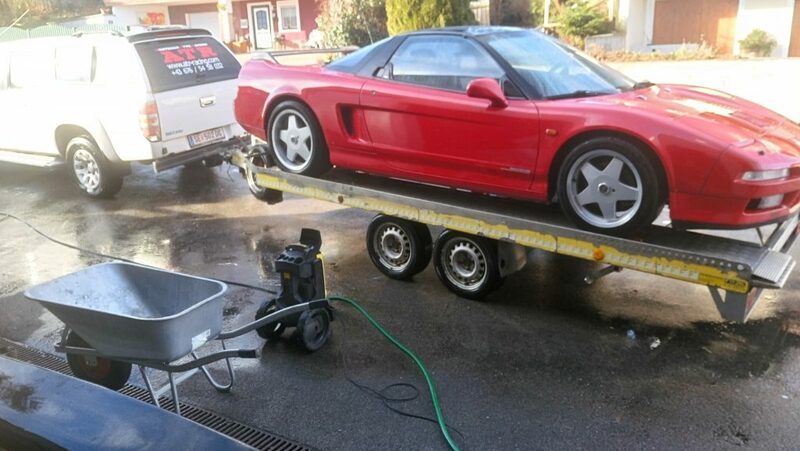 Once again we travelled to Germany to look for a NSX which was for sale. As a new austrian client was looking for one, we called him and drove about 300 km. 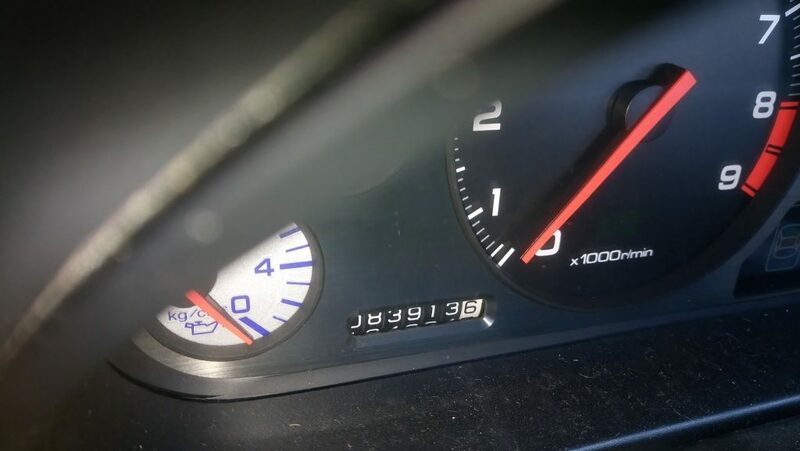 The car was offered for 40k with manual gearbox and 84000 km on the matching engine. So you need not to think twice. In addition it was build before 1992 and as austrian this means you save a lot additional taxes to get it registered. Importing a car from european countries to austria normally means extra costs because of 16% NOVA of the purchasing price. As this special tax was introduced in 1992 you need not to pay for cars built before and on a car worth more 40k this is a major benefit. In addition, a 55-65tsd NSX would not be serviced to our expectations, so it does not matter if the timing belt was made or not, because the engine must come out for service, anyway. SRS lights up. The horn is working so it´s quaranteed not the cable coil. 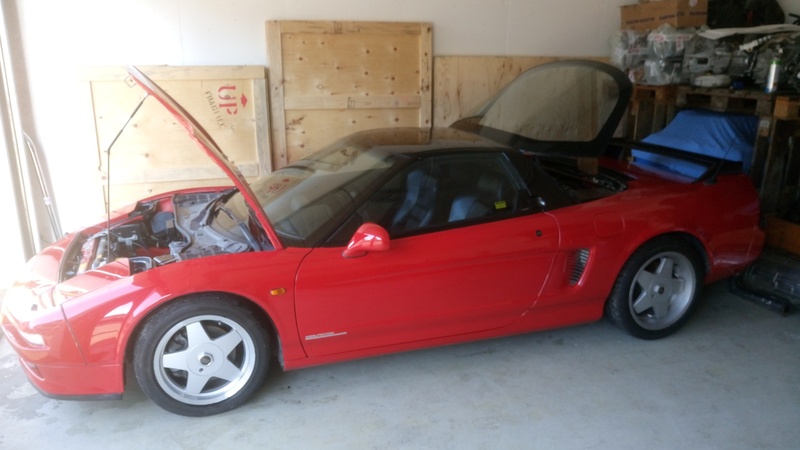 It is rather the SRS Ecu, which is not available (even in Japan) for a NSX from 1991. From our expierience. 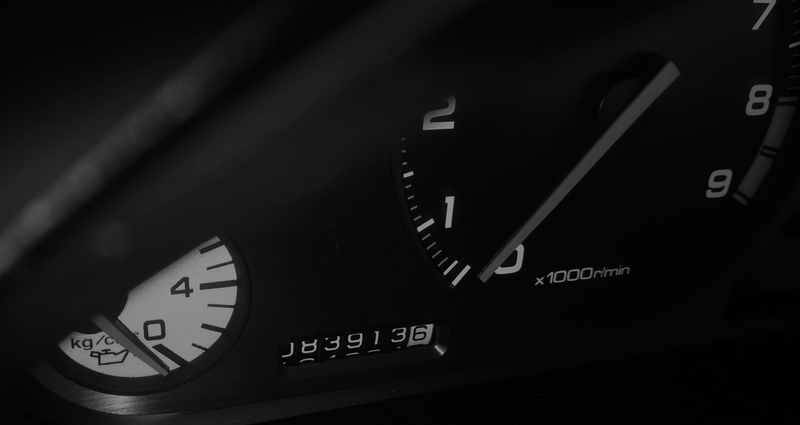 Additional gauges in the B-pillar. After talking with Michael we offered 35k due of the list of defects (SRS Eco, engine rough running, cracks…) and our knowledge of parts and maintening costs. All in all, we took the car for € 36,500.00. A very good deal like mine and an overjoyed new NSX owner. New wheels and tires, new exhaus system, repair of the front fender. Restore interior to OEM with MOMO steering wheel, side ducts repainted to oem black and some TLC to have a great looking car to start into season 2018. ATR Racing is the specialist for Honda / Acura NSX and Integra Type-R spare parts. We provide every single part from engines, fenders, springs to head lights and maintain your NSX at our garage on request. This was the GERMAN TIMEATTACK MASTER 2018. 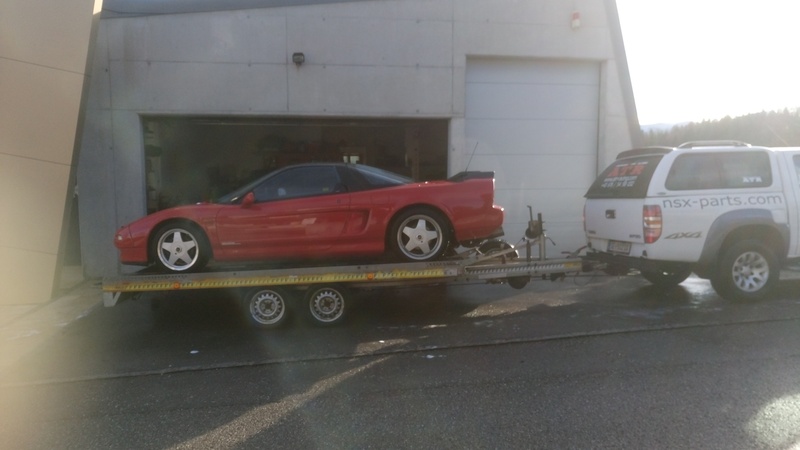 ATR Racing is the specialist for Honda / Acura NSX and Integra Type-R spare parts. We provide every single part from engines, fenders, springs to lights and maintain your NSX at our garage on request.